Can safely say I agree with every thing you've said here. Defo try the hair! It is probably the best bit about that movie! As well as the bit where they are trying to distract the police man! That glee hand is amazing! haha. OK, I officially am jealous of you seeing Glee Tour. 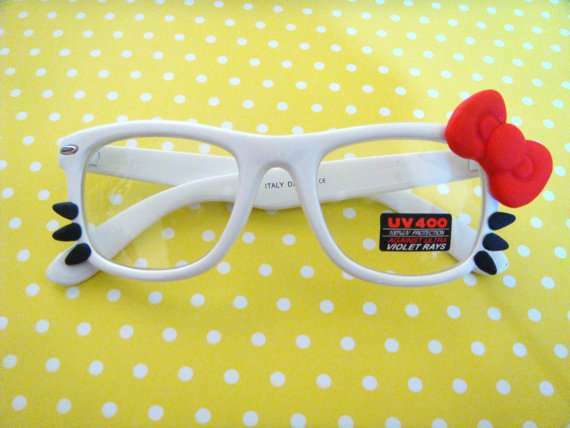 And I absolutely adore Hello Kitty glasses. I've been loving very similar things to you! 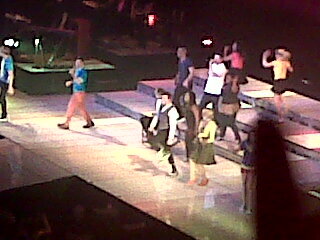 I saw Glee live in Manc last Wednesday and absolutely loved it! Is it bad that I cried?! It was kind of overwhelming, and just made me love the show all the more! Oh my I love those Sanrio glasses! I saw Bridesmaids on Friday and it was so brilliant, haven't laughed so much at a film for a long time! I have major hair envy of Kristen Wiig! I also really want a labrador puppy...with the cute little pink beret! I want those glasses too!! Maybe I could have prescription lenses put in? Those glasses are so cute! I am the same though, totally offended by clear glasses! However those are too cute to resist. LOVE your nails.. I tried them myself the other day, but I done it all wrong! I will be trying again for 4th july! the glasses are super cute! Oh my god I am so on those nails for the 4 July! Yay I just got home from Bridemaids, so hilarious, haven't laughed so much in a long time!! I am super jealous of her hair too, can't wait for mine to grow out!! What lovely things to love! I want to see Bridesmaids so bad! And Beyonce, wow! Those nails are fab! I have to check out Beyonce's set too! I want to see Bridesmaids, need a full on girly group to go with though! I need the hello kitty glasses in my life right this instant. Those nails look incredible! And that picture of Beyonce is so good. 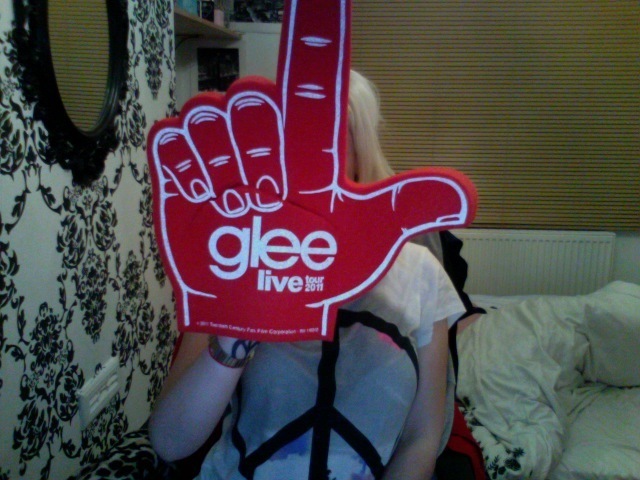 So jealous you went to see Glee live! Ahh I bet it was amazing. I must see Bridesmaids at some point this week.